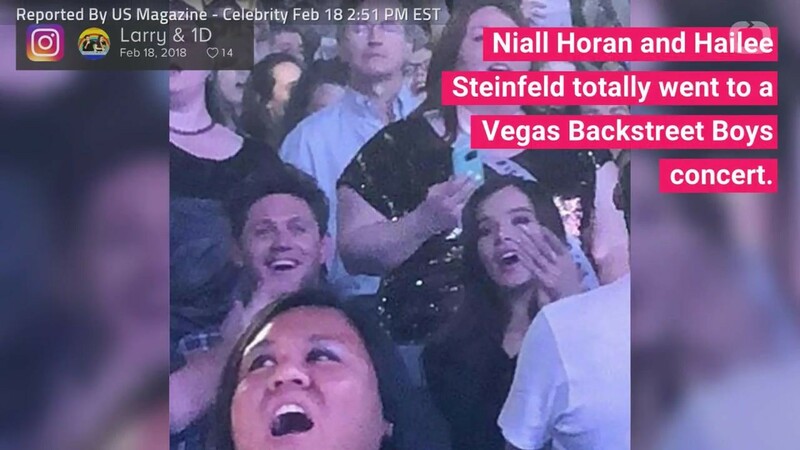 Niall Horan and Hailee Steinfeld sparked romance rumors over the weekend when they were spotted singing and dancing together at a Backstreet Boys show, but the duo aren’t officially dating just yet. A source close to the stars tells PEOPLE exclusively Steinfeld recently split from her longtime boyfriend Cameron Smoller and isn’t quite ready to jump into a new romance. For now, the actress, 21, and the former One Direction singer, 24, are happy spending time together. Hailee Steinfeld and Niall Horan’s latest outing together is feeding dating rumors… once again. Last night (February 17), The Sun Online reported the “Capital Letters” singer and “Slow Hands” crooner were in attendance at the Backstreet Boys’ “Larger Than Life” tour stop in Las Vegas. Like the true detectives they are, followers quickly recognized the conspicuous couple in no time and were fast to record the 24-year-old One Direction member and the 21-year-old Pitch Perfect actress keeping close to one another throughout the event. A source confirms to E! News that after the concert the duo hit up at XS Nightclub where they sat together at a stage table with a few friends, sipping on Absolut Elyx cocktails and taking in a DJ set by Diplo. Fans first began speculating a romance between the performers when the duo was seen at London’s West End production of Hamilton shortly after the new year. The gossip continued as their rumored love affair came to the forefront again when the “On the Loose” warbler attended a birthday party for the “Most Girls” musician’s older brother, Griffin, just a week later.